Thank you for buying “The Writer’s Guide to Training Your Dragon” and signing up for the FREE video training. Please bookmark this page (it is not accessible from the main site menu). Want more training? Check out the courses here! Welcome! 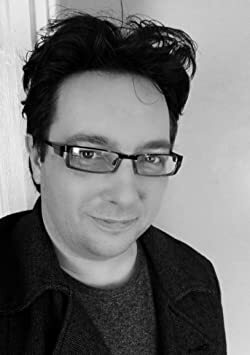 This is the introductory video for readers of “The Writer’s Guide to Training Your Dragon” by Scott Baker. Here’s what you need to know to get started with dictation. A brief video demonstration of the differences between Dragon NaturallySpeaking and the free Voice Typing feature in Google Docs. Can a free solution work for fiction writers? 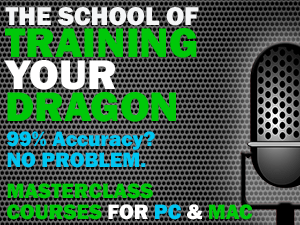 This quick trick demonstrates how to train Dragon using your own stories and writing style by ignoring the built-in texts the program provides. With the release of Dragon for Mac version 5, Nuance has dramatically changed the program’s interface. In this video I briefly cover some of the differences between the PC version and previous Mac versions while addressing a workaround for some of the stability issues people have reported. UPDATE Feb 2018: The latest Dragon for Mac v6 has a similar interface to above but with a slightly updated look. A good quality wired headset is a great tool to have – they are lightweight, easily portable and can give great results. Here’s a quick trick to ensure you position it correctly every time. 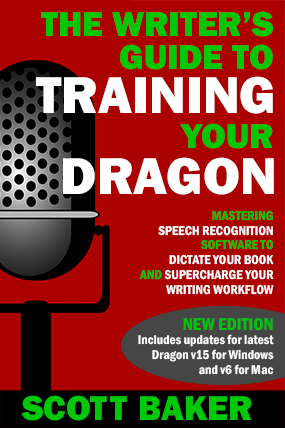 Dragon NaturallySpeaking is arguably the best version of the program on any platform. There’s just one problem – it’s for Windows only. But Mac users needn’t miss out – here is a demonstration of it working perfectly using Parallels Desktop 11. If you’re thinking of paying $15 per month for Dragon Anywhere, bear in mind there is a FREE Dragon app for iPhones and iPads with much the same functionality. It allows for longer periods of dictation than Siri with the additional ability to correct mistakes – so it can’t match Anywhere’s continuous dictation feature, but it’s a lot cheaper! You can get Dragon Dictation for iOS here. UPDATE Feb 2018: The iOS Dragon app has now been removed from several App Stores as it is no longer compatible with iOS 11. If you are on iOS 10 or lower and in the US, you may still be able to download it. The built-in iOS dictation feature now provides similar functionality – click here for more info.